Hurries along with virtuoso direction, nothing close to grieving - but if you want to feel that check out his other album...fascinating. 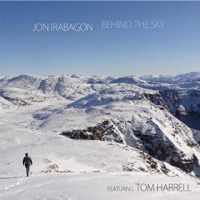 “The Cost of Modern Living” is a track off of saxophonist Jon Irabagon’s new CD, “Behind The Sky.” "Behind the Sky", with legendary trumpeter Tom Harrell, features Irabagon at his most straight-ahead. The CD's tunefulness and spirited, swinging attitude make it an ostensible follow-up to 2009's acclaimed "The Observer" (Concord Records). 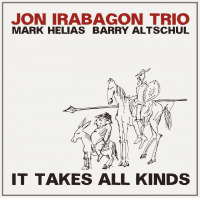 On "Behind the Sky", which focuses on the theme of grieving and the way we deal with loss, Jon's longtime working rhythm section brings its magic to a set of unadulterated, swinging jazz complete with camaraderie and groove. 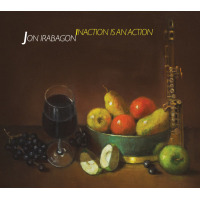 Irabagon simultaneously releases "Inaction is An Action", his full-length experimental solo sopranino saxophone recording. 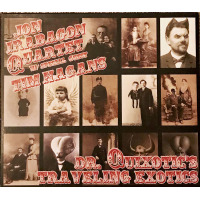 John Irabagon: saxophone; Tom Harrell: trumpet and flugelhorn; Luis Perdomo: piano; Yasushi Nakamura: bass; Rudy Royston: drums. One Wish; The Cost Of Modern Living; Music Box Song (For When We're Apart); Still Water; Obelisk; Sprites; Lost Ship At The Edge Of The Sea; Mr. Dazzler; Eternal Springs; 100 Summers; Behind The Sky (Hawks And Sparrows). Tom Harrell: trumpet, flugelhorn (4, 5, 9); Jon Irabagon: tenor saxophone, soprano saxophone; Luis Perdomo: piano; Yasushi Nakamura: bass; Rudy Royston: drums.